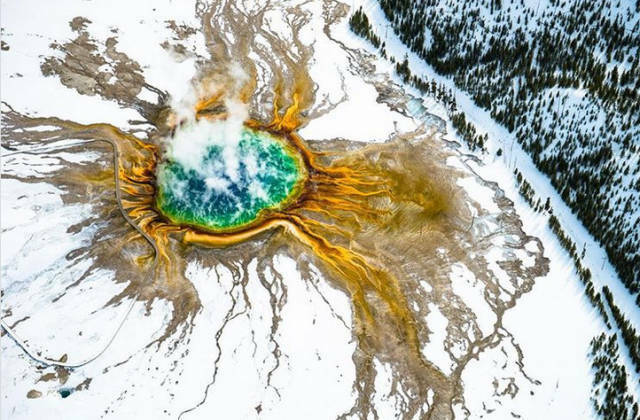 The Grand Prismatic Spring, USA. We all know Turkey for its colorful and bright landscapes. However, not everyone has discovered the beauty of this historical region in the Turkish provinces. 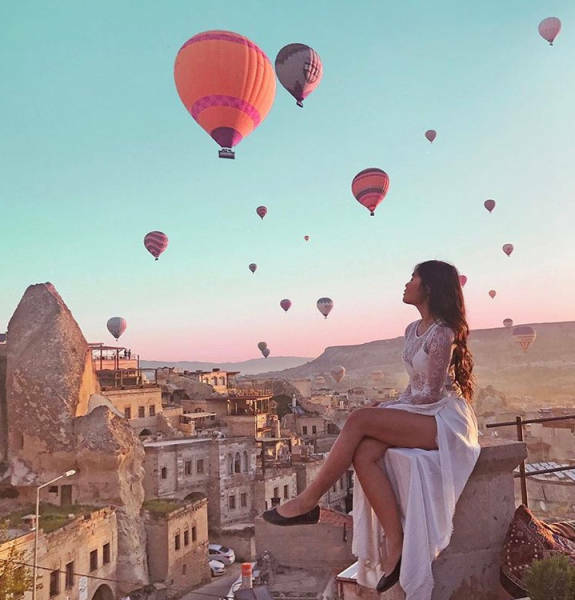 Take advantage of the opportunity to join a hot air balloon tour that begins at sunrise. You can see the deep canyons, valleys, and fairy chimneys from above. 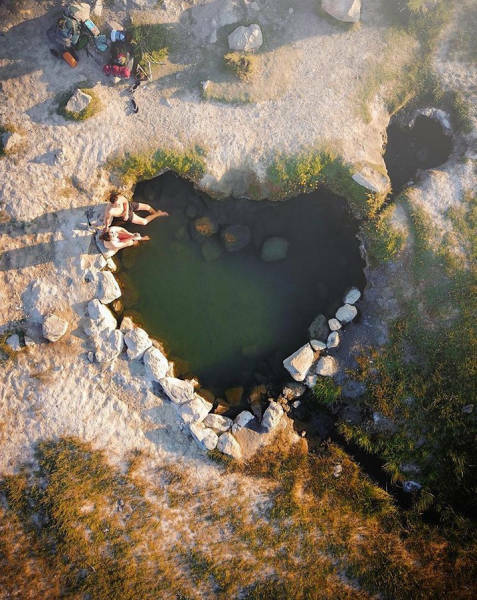 Can you imagine yourself enjoying a heart-shaped hot spring in the middle of a valley surrounded by a dramatic backdrop? 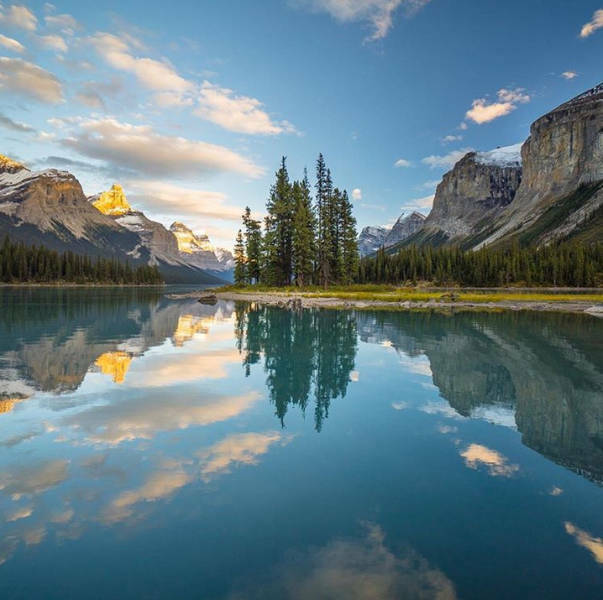 The name speaks of the size of the mountains, the expanse of the valleys, and of crystal clear mountain lakes. What are your first thoughts when you hear “the Arctic”? 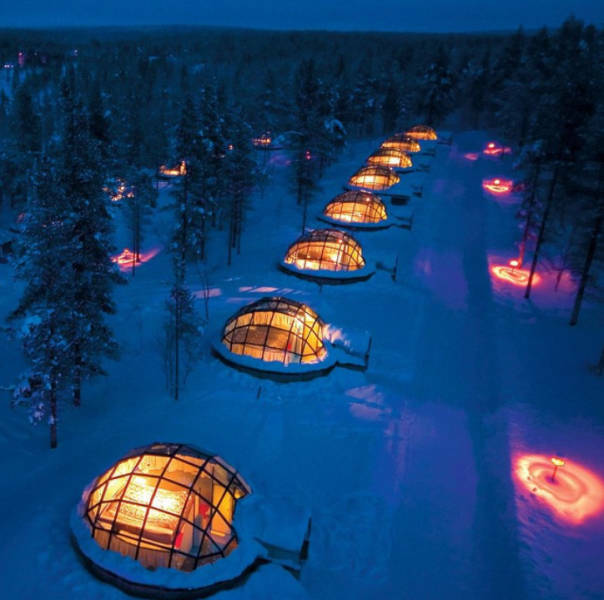 If it’s cold, stark landscapes and a lack of coziness, prepare yourself for the fact that this hotel will break all of your stereotypes with its beautiful glass igloos in the middle of a forest. These igloos are perfect for observing the beauty and magnificence of the Northern lights. 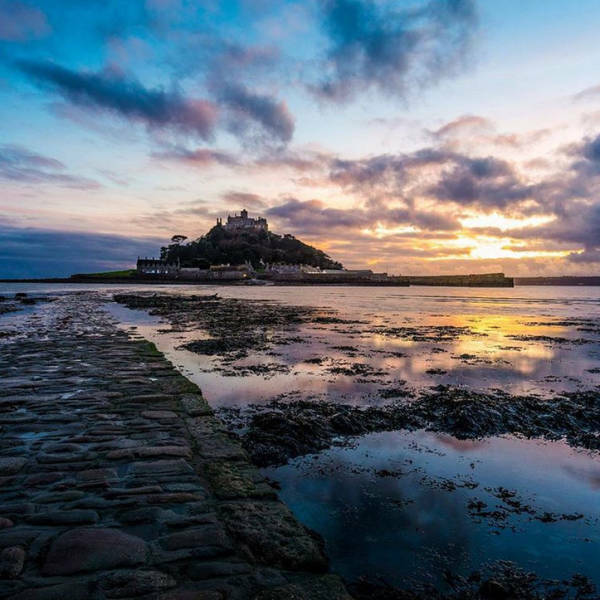 You probably think we’re mistaken, but there’s actually a British twin brother of Le Mont-Saint-Michel across the Channel. 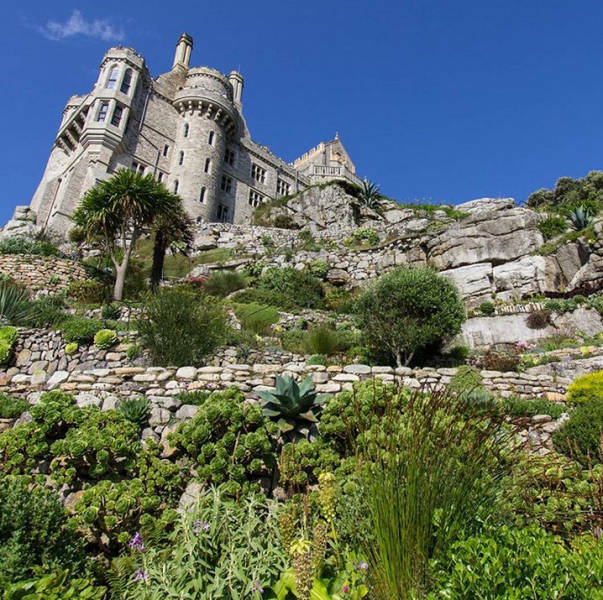 Prepare to be amazed at this island world of St. Michael’s Mount and the legends, myths, and over 1,000 years of incredible history. The castle and chapel were the home of the St. Aubyn family since nearly 1650. 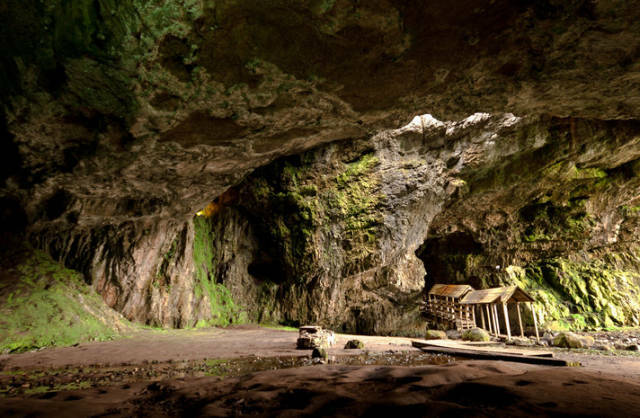 Smoo Cave is one of Scotland’s most interesting and mythical caves. It’s also one of the largest sea caves in Britain. The name of Smoo Cave means “a hole” or “hiding-place.” So, you may see it’s not a crowded place and it’s definitely something worth experiencing! 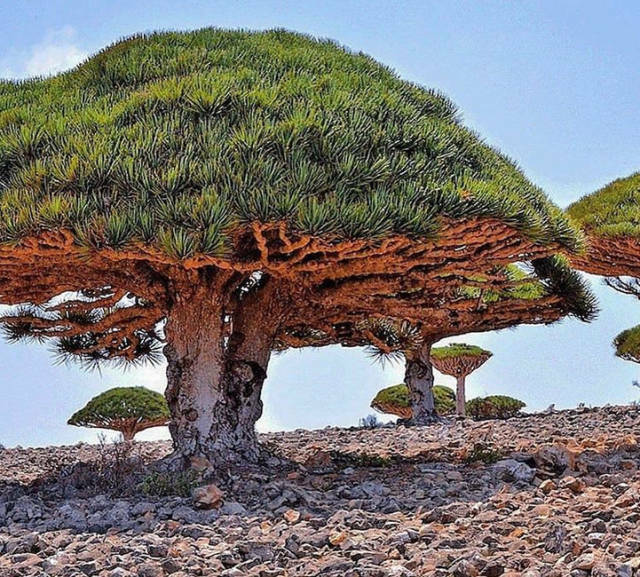 The plants on Socotra Island are what make this place one of the most alien-looking ones on Earth. 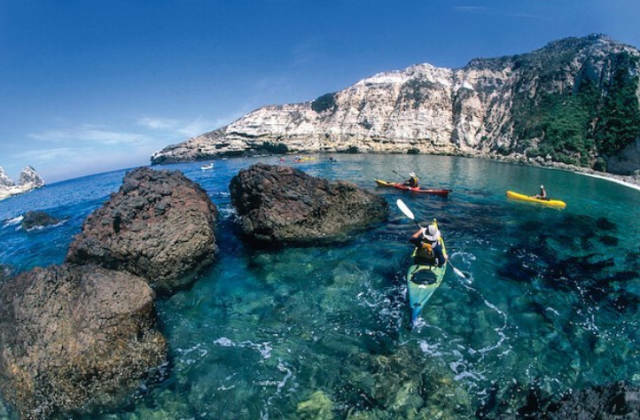 This place is also known for having almost no roads on the island, as well as being a home to a collection of caves and a number of shipwrecks. 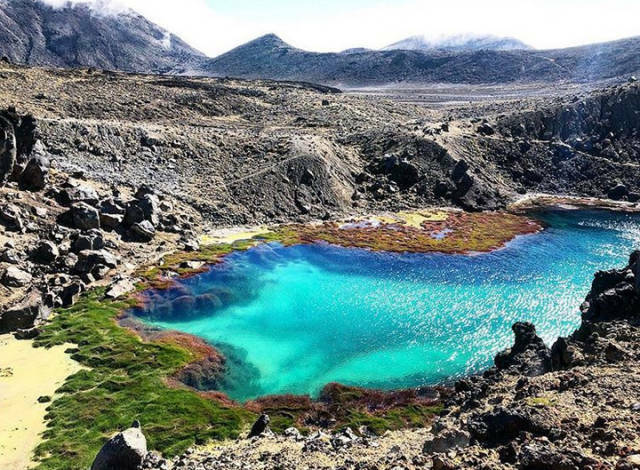 Tongariro is the national park and World Heritage area in New Zealand. Between the years of 2000 and 2003, The Lord of the Rings film trilogy was shot here. Sark is an island in the Channel Islands in the southwestern English Channel and one of the hidden cool places on Earth (its population consists of about 500 people.) Cars are banned from roads in Sark and only tractors and horse-drawn vehicles are allowed. One of the reasons to visit this wonderful place is that there are about 150 Wisteria flowering plants of 20 different species in the garden. 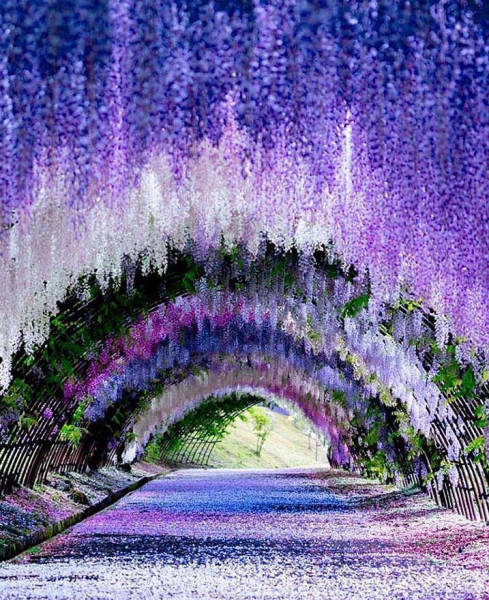 To see the magical tunnel in full bloom, it’s better to come here in late April or early May. Bajos del Toro is a less explored paradise in the Alajuela province. This is a path leading to the Hidden Treasure Waterfall. 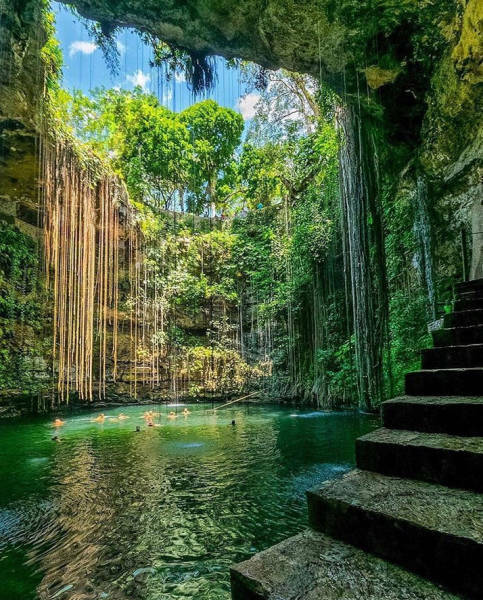 So, take your time and hike the trails through crystal water and then climb the stairs to the bottom to get to a waterfall you can’t even begin to imagine! 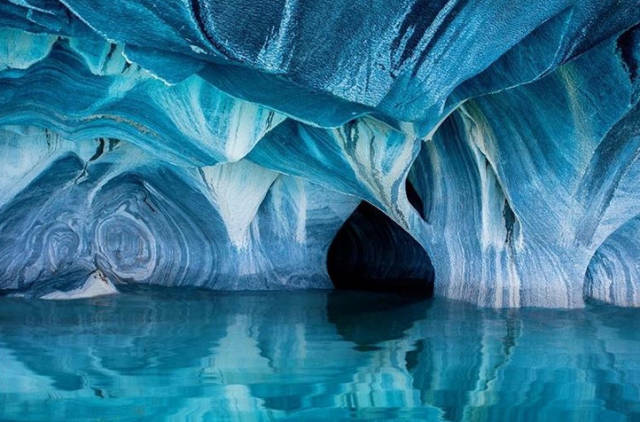 It is considered to be one of the most unique and secret places in the world. 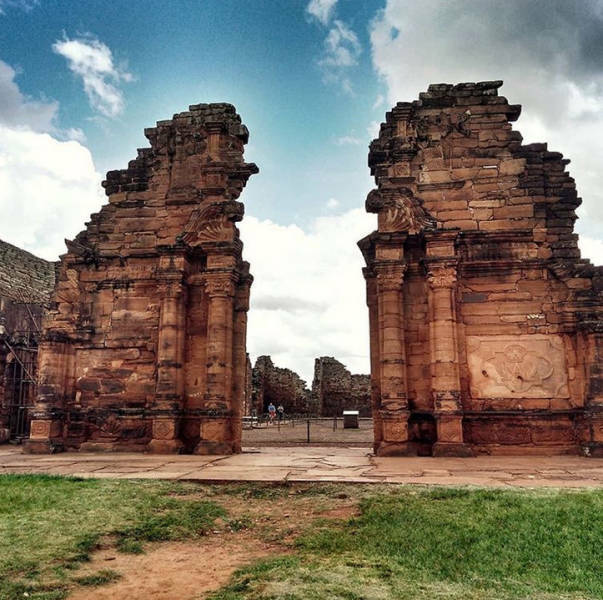 The ruins of San Ignacio Miní is a 17th-century Jesuit mission complex. The construction included a hospital, a school, dormitories, and a stone church with a wood interior. The complex survived for about 2 centuries before native inhabitants destroyed it. This mountain was named in 1916 after Edith Cavell, an English nurse who was executed by Geran soldiers during World War I because she was helping Allied soldiers flee occupied Belgium to the Netherlands. You’ll find a fragrant subalpine forest, overwhelming alpine meadows, and spectacular views of Mt. Edith Cavell and the Angel Glacier in the Cavell area. 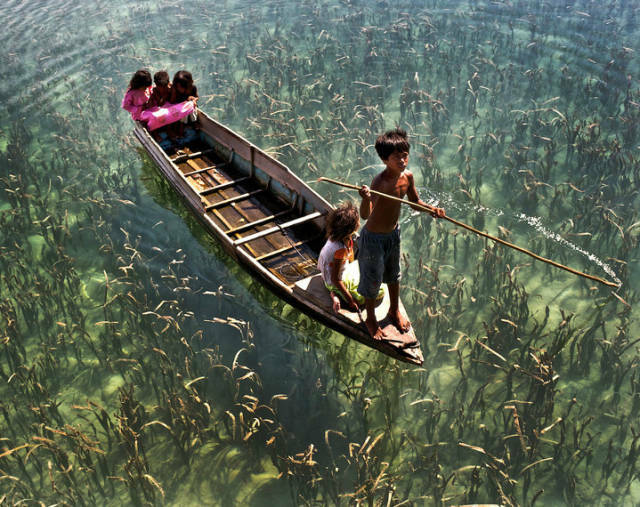 Sabah beaches and lakes are best known for their crystal clear water and white sand. 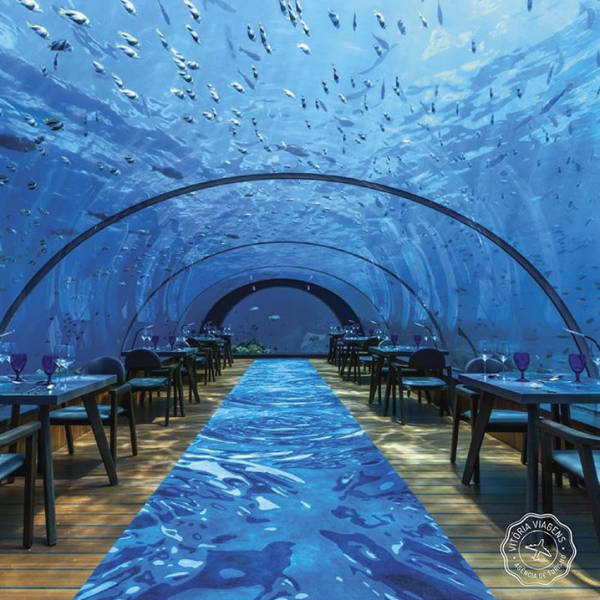 The world’s most stunning sunsets and isolated islands will take your breath away and you’ll never want to leave this paradise. The beach got its unique color with a special type of plant called Suaeda vera. 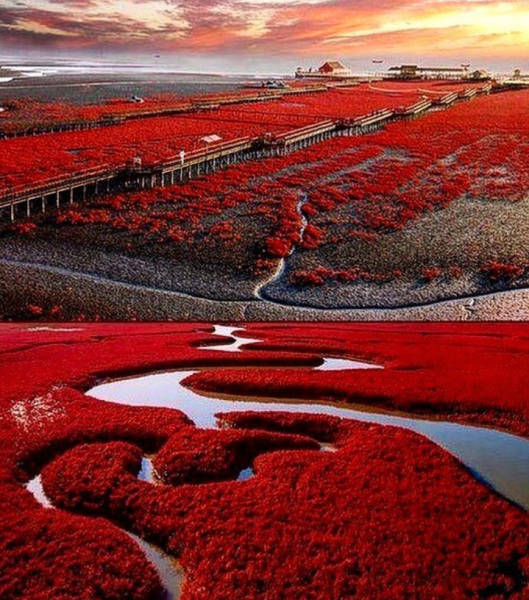 The plant remains green during the summer but in the fall, it turns into a deep red color that makes a red sea landscape look nothing short of mesmerizing. Most of Red Beach is a nature reserve, so it’s usually closed to the public. 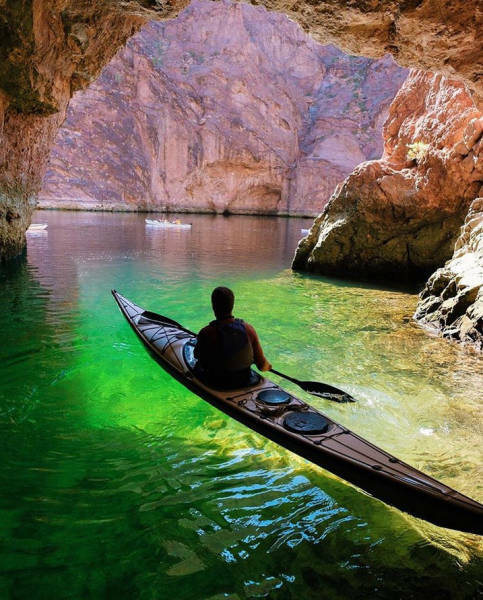 Only a small, remote section is open to tourists. Isn’t it paradise? 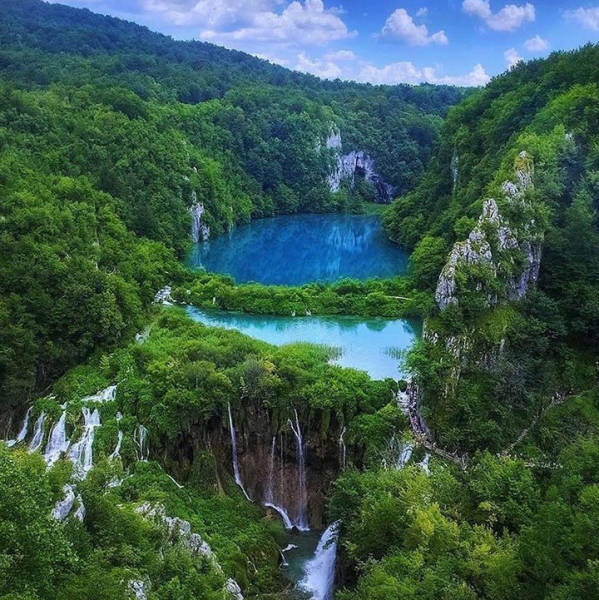 At the very top end of the Upper Lakes, the falls are mostly concealed due to thick foliage that covers them up and makes them a bit difficult to find. 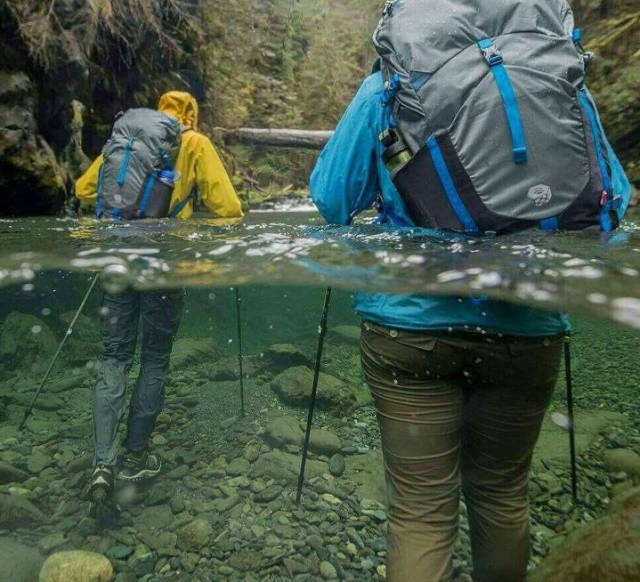 So, if you really want to see this treasure, be extremely attentive to notice everything around you! 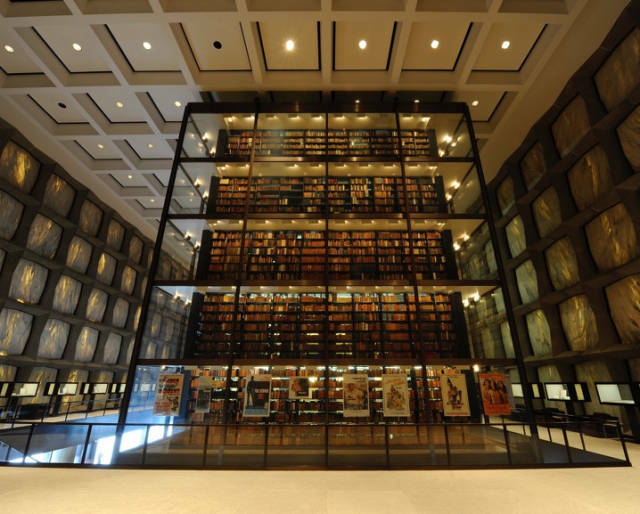 For those who can’t live without reading books — Beinecke Rare Books and Manuscripts Library, Yale University. This is one of the world’s largest libraries with rare books and manuscripts and various literary archives, such as early manuscripts. There is a room that holds 180,000 volumes in the central part of the library and there are more than a million volumes in the basement. The temperature and the humidity are both carefully controlled so as to protect the heritage for future generations.